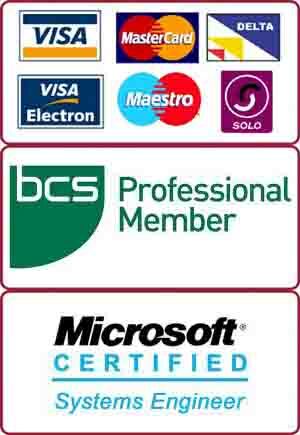 We specialise in hard drive data recovery in Putney, Fulham, Wandsworth and surrounding areas. On-site and same day service available. Our repair centre is based in Putney SW15. The best way is to completely avoid this situation, if possible. A good way to is to always keep up to date backups of your data in an external hard drive or Cloud. Deleted files can be recovered (if the physical location on the hard drive is not over-written). This also applies even if you have emptied your recycle bin. When you delete the files, the computer deletes the entry from the “index” and not the physical location of the data. In some cases you may be able to recover the file but it may not work properly. In that case, there are quite a few good tools that can fix those corrupted files. A good tool is PC Tools Files Recovery. If you cannot find the files under normal search then a thorough search may help. It searches files cluster by cluster and the chances of retrieving a file increases. If your computer has died and is not turning on, then taking out the hard drive and installing in a caddy is the way to go. After installing it in an external hard drive caddy, it can be used with USB port of any other computer to recover your data. The client for hard drive data recovery came with an old HP laptop. He came from Fulham to our shop in Putney for data recovery. The laptop had stopped working recently. The client initially asked for laptop repair. We diagnosed the laptop with multiple issues. As it was an old laptop, we suggested that it was not worth to spend money on this laptop as it had multiple problems including a faulty screen with vertical lines, faulty DVD Rom Drive and overheating issues. The client from Fulham agreed but wanted to recover the data from his hard drive. The hard drive was not responding well. We had to take it out and use it in our machines with data recovery tools to recover all the important files and folders for this Fulham client. We could not recover 100% but managed to recover most of the files that were important to him. Client was happy with the service.